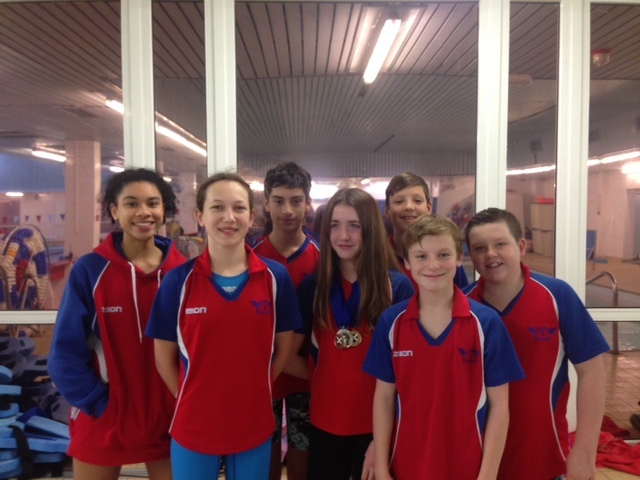 Helensburgh Amateur Swimming club swimmers competed at the 2018 West District Short Course Senior and Junior age group championships at Tollcross International Swimming Centre over two separate weekends. For Joseph Aylward, Ethan Parsons and Finlay Martin it was their first time competing at regional level on an individual basis and despite the pressure they took it in their stride. Roisin Kavanagh returned a very strong performance bringing back 1 Gold and 4 Silver medals. Roisin swam in the 12 year age group. She secured a silver medal in both of the events that were heat declared winners, the 200m backstroke and 200m Freestyle and qualified for the final in the remaining 3 events, the 100m backstroke, 100m freestyle and 200m individual medley. She secured 1st place in the heat of the 100m backstroke and held onto that place in the final picking up a gold medal. In the 100m freestyle she finished the heat in 1st place and despite knocking almost half a second from her heat time she just missed out on gold finishing in second place. She picked up her 4th silver in the 200m Individual Medley. She also secured personal best times in all of the 8 events and finals she swam in with particularly impressive improvements in the 200m individual Medley, 5.15 seconds and the 200m freestyle, 2.78 seconds. Overall a fantastic performance. Whilst Roisin monopolised the weekend’s medals strong performances were returned by the rest of the team. Louisa Brown swimming in the 12 year age group competed in the 100m Breaststroke securing a fantastic PB of 3.58 seconds and 18th place overall. Joseph Aylward swimming in the 12 year age group also competed in the 100m Breaststroke securing a very strong PB of 2.85 seconds and 16th place overall. Ethan Parsons swimming in the 12 year age group competed in the 100m Breaststroke and 100m Butterfly securing 23rd place in both events. William Peace swimming in the 13 year age group competed in the 100m and 200m Butterfly and the 100m freestyle. He came a very respectable 9th place in the very arduous 200m butterfly, 12th place with a pb of 0.37 seconds in the 100m butterfly and in the 100m freestyle 26th place with a pb of 1.30s seconds. Meanwhile at the Senior event Jasmine Mansfield swimming in the 15 year age group competed in the 100m Breaststroke securing a very strong PB of 2.55 seconds moving two places up the rankings to 13th place. Alexander Johnson age 16 was swimming in the 16 and over age group. He secured a fabulous 5th place in the 400m Freestyle, 12th place and a respectable pb of 1.32 seconds in the 200m Freestyle 17th place in the 100m Butterfly and 17th place in the 100m freestyle.